Starring: Craig Roberts, Sally Hawkins, Noah Taylor, Paddy Considine, Yasmin Paige, Darren Evans, Osian Cai Dulais, Lily McCann, Otis Lloyd, Ben Stiller. Director Richard Ayoade is better known for his acting chops on the television comedy series “The IT Crowd”. Not a series I was particularly fond of though, as the humour seemed quite forced. However, that’s not what Ayoade brings to this. He brings a subtlety, a realism and a highly creative and visual approach. 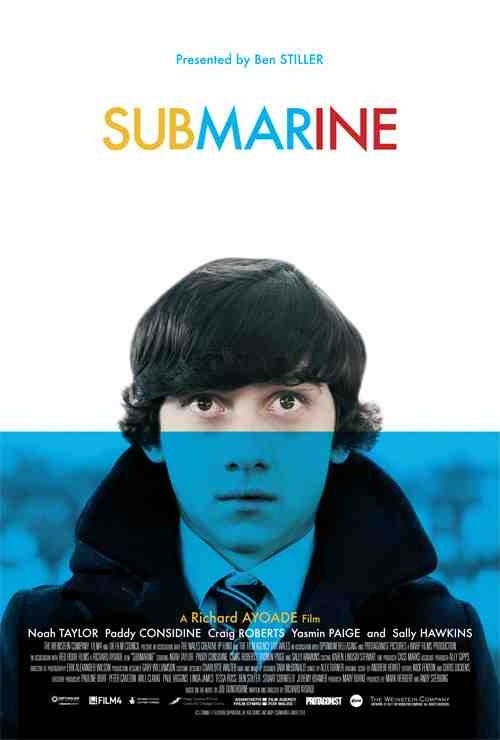 Based on the novel by Joe Dunthorne it tells the story of precocious, 15 year old boy Oliver Tate (Craig Roberts) approaching manhood. A major rite-of-passage that he faces is that he’s besotted with Jordana (Yasmin Paige), a feisty girl in his class. Yet, as he embarks on his first relationship, he also frets over the relationship of his parents Jill (Sally Hawkins) and Lloyd (Noah Taylor), a situation exacerbated by his mum’s ex-boyfriend, Graham T. Purvis (Paddy Considine), a self help guru, who has moved in next door. A sharp, observational coming-of-age tale with a precise insight into the awkwardness of adolescence, not to mention, disillusioned, mundane adulthood. It’s a very impressive directorial debut from Richard Ayoade, who’s artistic and quirky style perfectly matches the eccentricities of the characters onscreen. Despite a few visual florishes here and there, this is not a flashy film by any means. Everything is very understated. So much so, that a lot of the humour may go right over your head. But this understatement is to Ayoade’s credit as well as his exceptional cast. The wonderful Sally Hawkins delivers another strong character to her resume as the neurotic, repressed mother. The very underrated Noah Taylor is marvellous as the depressed father and Paddy Considine never ceases to amaze me with his brilliant portrayal of the self-help ‘mystic ninja’. 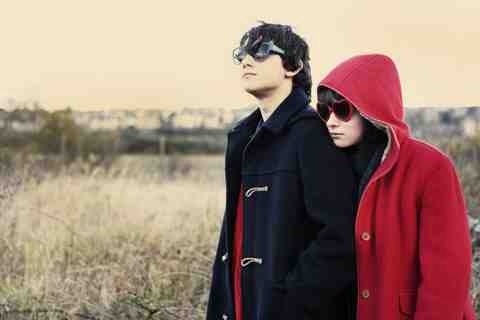 The real star though, is Craig Roberts as our young eccentric protaganist. An avid reader of the dictionary, who’s keeps surveillance on his parents. All nervous energy, shifty eyes and desperation. He’s a real find and handles every scene he’s in with aplomb. To stand out in the company of the aforementioned supporting actors is talent indeed. Alex Turner from the Arctic Monkey’s also deserves a mention for providing a touching soundtrack of melancholic songs throughout this heartfelt and unconventional story of teenage angst. Comparisons with director Hal Ashby’s “Harold and Maude” and director Wes Anderson’s style are there for a reason. As that film and Anderson’s stuff are favourites of mine, I enjoyed this immensely. An absolute gem of film with a lot of style and a lot of heart. Pragmatic, low-key and one of the year’s genuine treats. This entry was posted on February 3, 2012 at 9:23 am and is filed under Comedy, Drama with tags 2011. You can follow any responses to this entry through the RSS 2.0 feed. You can leave a response, or trackback from your own site. excellent review Mark. The Hal Ashby reference is spot on. Cheers John! I love these quirky little indie drama’s and this was one of the treats that I hope more people see.